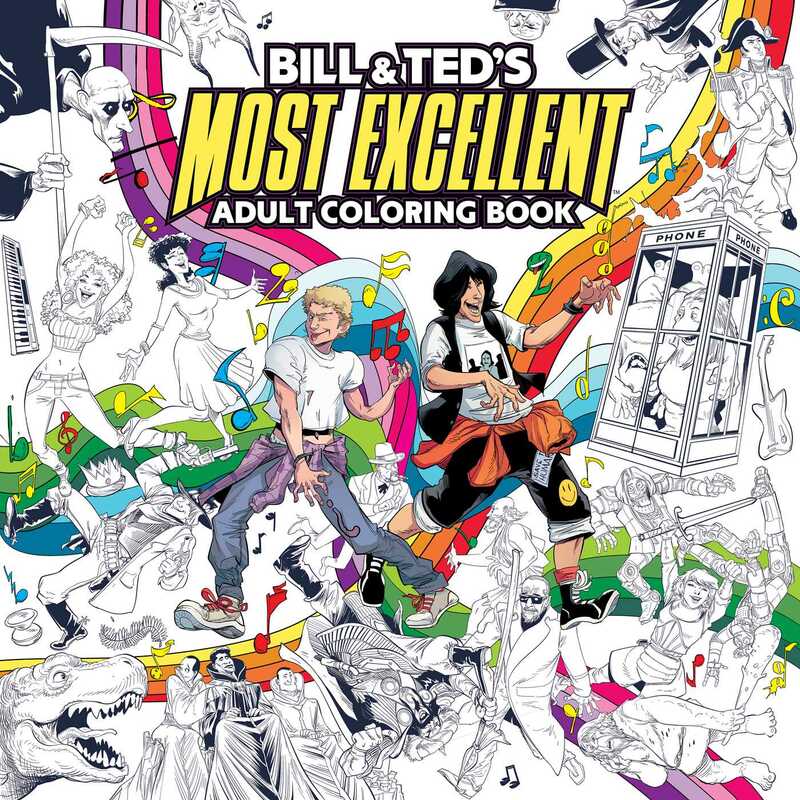 The first ever coloring book for the Bill & Ted film franchise! What better way to experience the cult classic film series Bill & Ted than with this Most Excellent Adult Coloring Book?! Featuring over 50 black and white illustrations showcasing Bill, Ted, Rufus, and all of your favorite characters from throughout space and time, Wyld Stallyns fans and colorists alike can bring the Bill & Ted universe to life in their own unique, most non-heinous way.